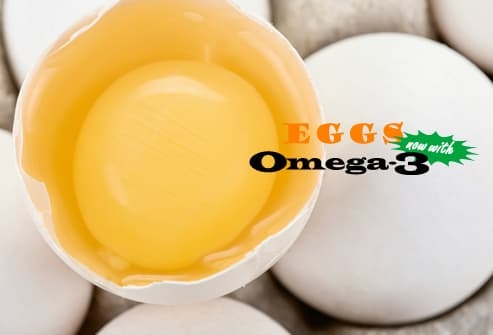 Some foods that we think are healthy can be sneaky little diet wreckers. 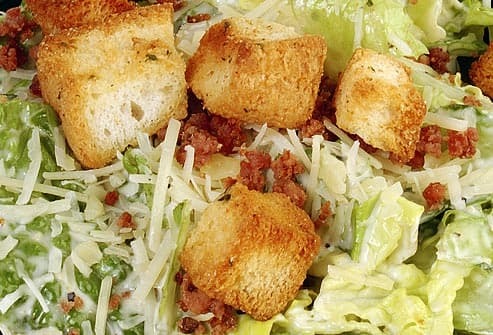 Take Caesar salad, for example. 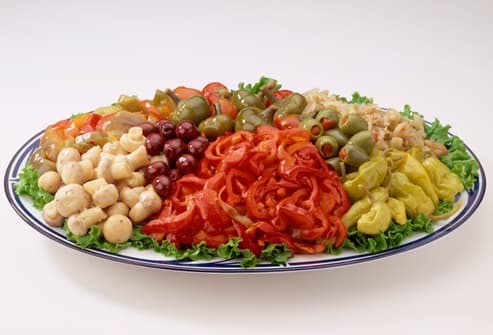 You might think that because it's a salad, it's fine. 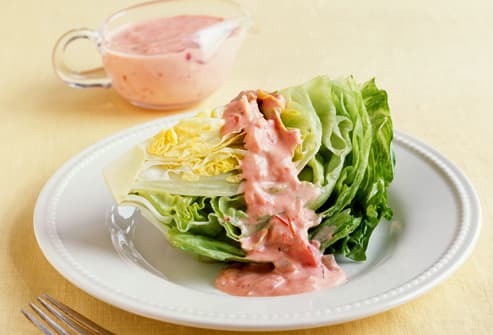 But an 8-ounce bowl has 350 calories and 29 grams of fat, thanks to loads of dressing. 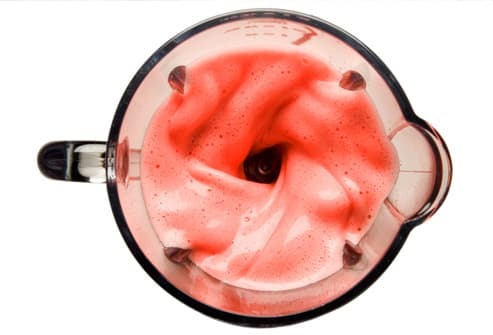 Depending what's in that smoothie, it can pack a sugary wallop. 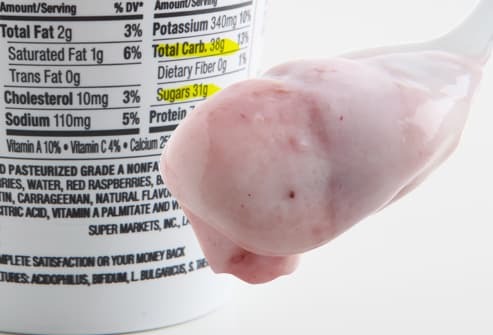 A 12-ounce strawberry banana smoothie with Greek yogurt has 220 calories and 1.5 grams of fat - and 27 grams of sugar. Smoothies can offer little protein, and often no fresh fruit (fruit concentrates may substitute for fresh fruit). 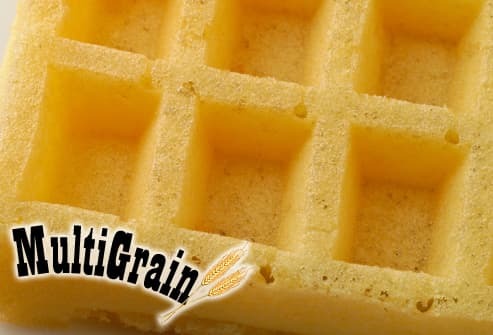 And sorbet, ice cream, and sweeteners can make these no better than a milkshake. 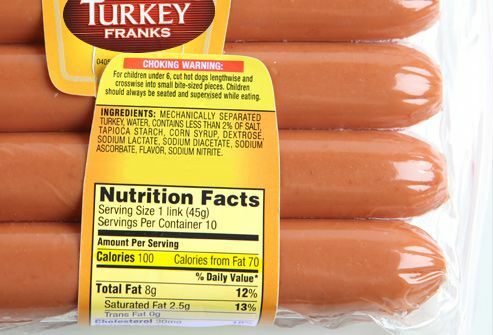 With beans and no red meat, what's the problem? About 1,060 calories and plenty of saturated fat -- cheese, sour cream, and the fat in the jumbo flour tortilla all contribute. 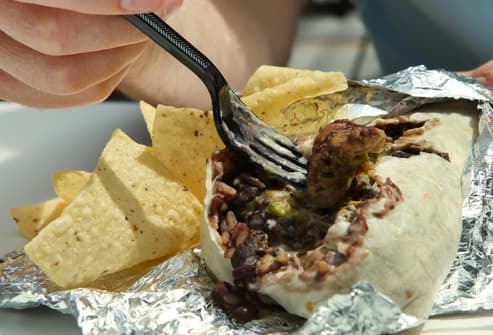 And when the burrito is as big as your forearm, the serving is just too big. 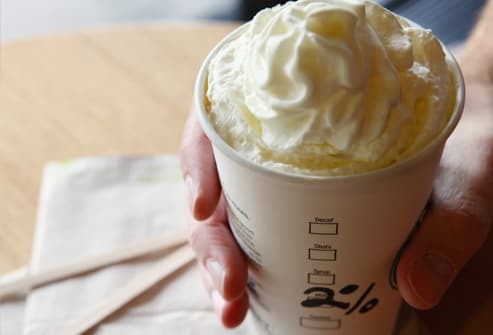 It's tempting to choose reduced-fat milk in a latte and reward yourself with whipped cream on top. 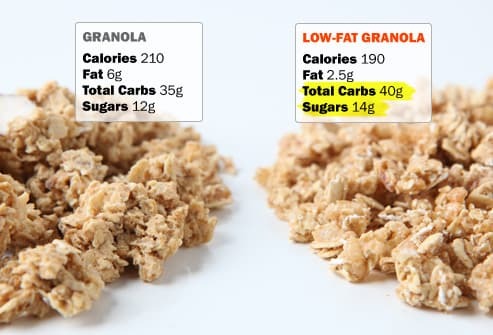 But this trade-off still adds up to 530 calories and 21 grams of fat (14 of those grams saturated fat) in a 20-ounce white chocolate mocha. Consider that a quarter-pounder with cheese has 530 calories and 13 grams of saturated fat. 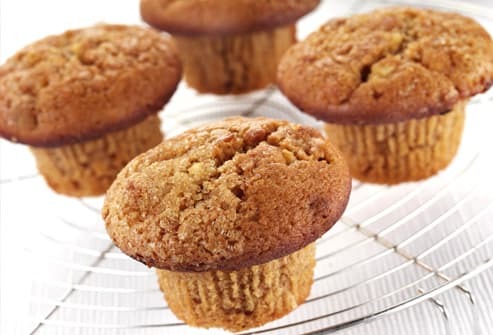 Muffins beat doughnuts, but they're still mainly sugary little cakes of refined flour. One store-bought blueberry muffin can contain 520 calories, 22 grams of fat, and 11 teaspoons of sugar. The antioxidants in iced tea don't make it a health food. 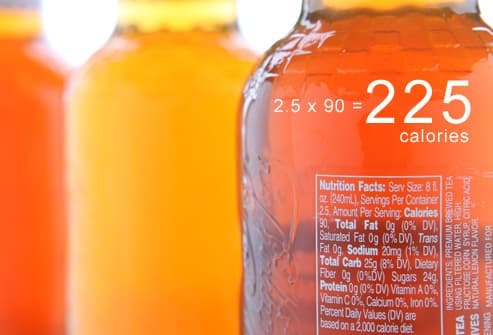 Too much added sugar can turn a tall glass into a health hazard. 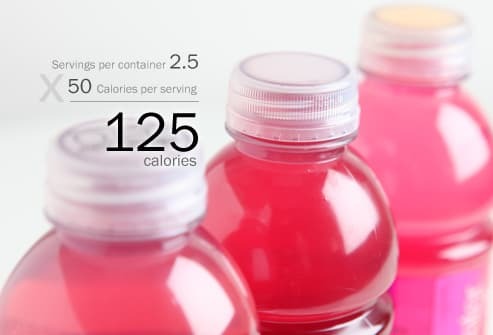 A 20-ounce bottle can have more than 225 calories and 60 grams of sugar. 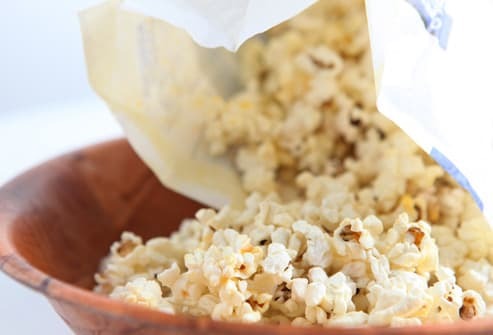 The word "snack" can be a little misleading on microwave popcorn. 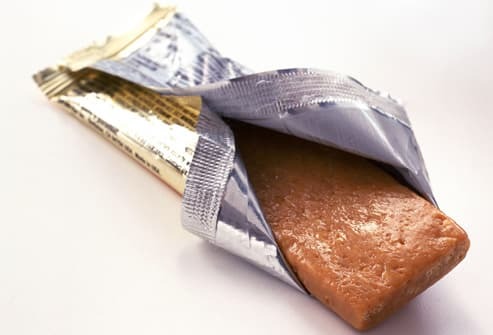 One popular brand packs 27 grams of fat (10 grams of it saturated), and 425 calories in a salted (no butter) "snack size" bag. Food Fix: Add spinach or arugula to the mix. Crumble 2 tablespoons of blue cheese (60 calories) or feta (50 calories) on top. 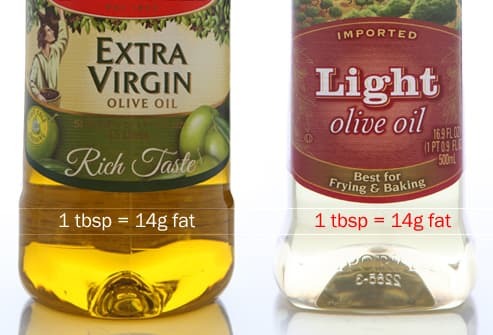 Then splash the salad with a little oil and vinegar to spread flavor without a lot of calories. 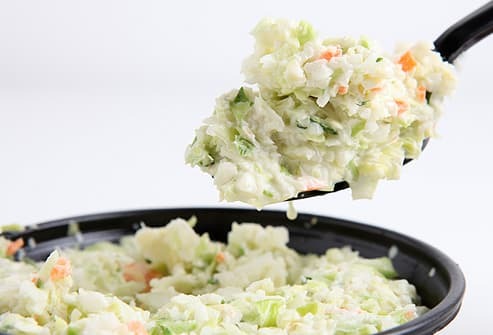 Cabbage is fine, but coleslaw can be a diet disaster. 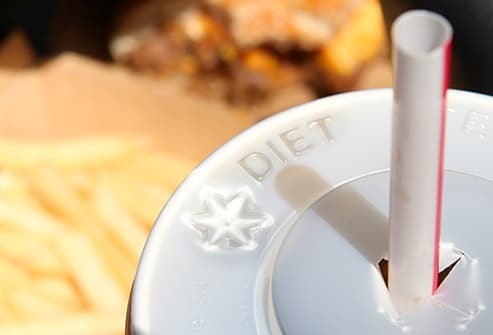 At one popular chain restaurant, a small cup (6.7 ounces) has 306 calories and 21 grams of fat -- a third of most people's daily limit -- thanks to the mayonnaise. 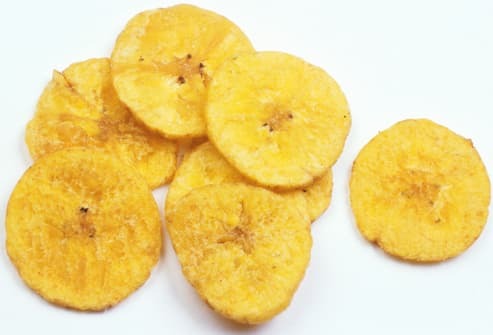 Deep-fried bananas don't look greasy, but just one ounce has 147 calories, 9.5 grams of fat, and 8.2 grams of saturated fat: about the same as a fast-food hamburger. Leslie Bonci, MPH, RD, CSSD, LDN, director of sports nutrition, University of Pittsburgh Medical Center. 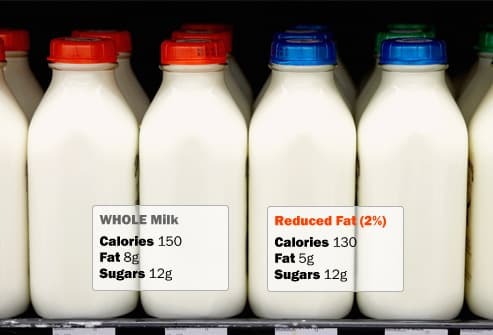 University of Illinois at Urbana-Champaign: "Milk Composition."